shifts to this when swimming or in the water. charming, flirtatious, possessive, aromantic, and instinct-driven. 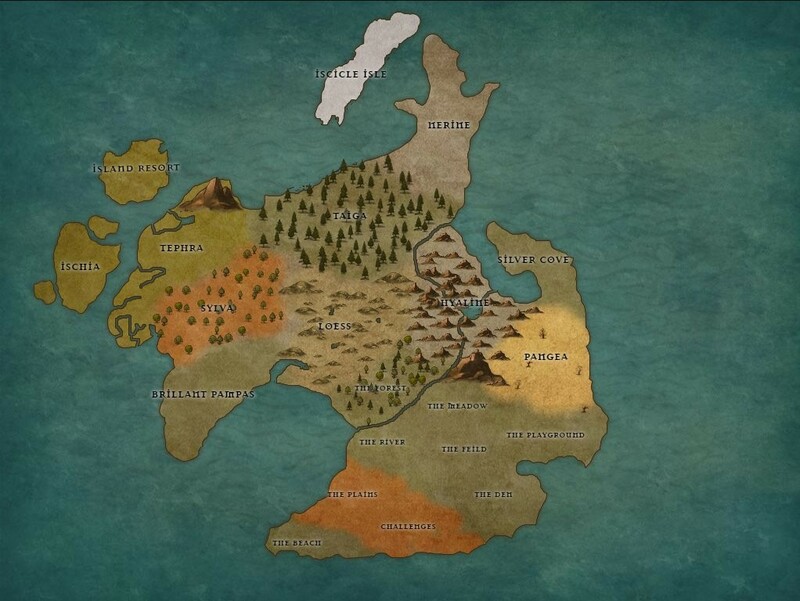 Firstborn prince of the Nerinian subkingdom of Sylva, Ivar was raised both in the woods and along the coast. Like his father, Ivar was a kelpie, and therefore driven primarily by lust and rage, though he has discovered a wider range of emotions as he has grown older. He formed lifelong friendships with Castile, the eldest son of Queen Nayl, and Kylin of Ischia as a child. After losing a childhood crush to the flooding of the Taiga, Ivar sought comfort in a relationship with Queen Heda of Loess. Though Heda was a faithful lover, Ivar was not, and when Heda passed her crown to him, Ivar took the opportunity to turn Loess into a harem. That soon bored him as well, so he distracted himself by murdering Castile’s younger sister, Isobell. 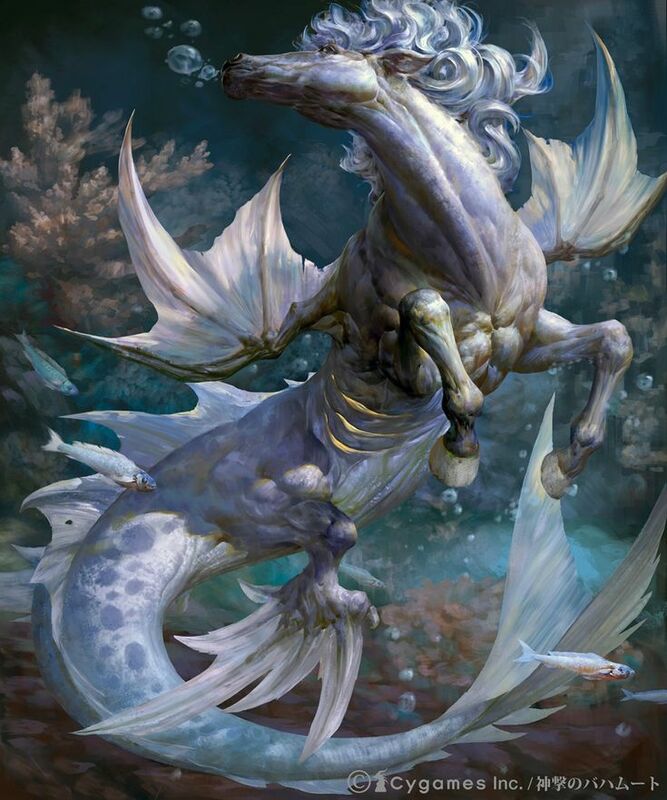 While not his first murder, she was the first to survive, and emerged from the sea having been turned into a kelpie by some combination of Ivar’s bite, her immortality, and Beqanna’s magic. Ivar left Loess in favor of a life in the open ocean with Isobell, giving the crown to his newborn daughter with Heda. He spent the next two years drifting through the sea with Isobell and their son Lothbrok. Isobell, heavily pregnant with twins, disappeared along with their son, forcing Ivar to return to the more populated areas of Beqanna as his hunger grew. Ivar established a home on a small island west of Ischia with Kylin, where he lived for four years with her daughter Kyveli, their daughter Kypria, and the semi-adopted children of Castile - Raul and Santana. He placed third in the Alliance and was rewarded with a color change - from smokey grullo to sapphire and gold paint. He began to pick up his old habits with the ladies as he grew more comfortable in his new home, drowning a few mares who would not be missed by the population of Beqanna. When the plague struck, Ivar took advantage of the Kraken's desertion of Ischia to claim the entire island for himself. Though Kylin, Kypria, and Kyveli (who he had recently begun to woo), left with Kylin's family to the sanctuary of Island Resort, Ivar quickly claimed Karat and Carwyn, one of Brennen's granddaughters. 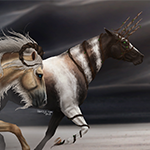 However, Kromium, Karat's twin, commanded her back to Tephra leaving Ivar living on Ischia with Carwyn (now claimed as a consort), Lochwood (his younger brother), Deiti (a kelpie mare), Jhene (another consort), Isobell (recently returned with thier children), and several others. The kelpie gathered a large harem around himself, with the purpose of populating Ischia with kelpies and keeping himself occupied. Spending so much time on dry land made him somewhat less animalistic, and he grew bored and restless despite fathering a dozen children in his three years as leader. In the Winter of BQ 201, Ivar gave the leadership of Ischia to Isobell and made the northernmost island of Ischia his main home. Email: Send Ivar an email.